New lows like in “new low prices“. I published a blog entry on $5.00 cameras a while back, and now I have two extra SLR bodies and a lens to add to my league of fivers. I recently became the proud owner of a Canon EOS 620 for $4.95 (nobody seems to like first generation auto-focus SLRs) and of a nice Canon EF 28-70 F3.5-4.5 zoom, (the hidden part of a bundle with the very first generation EOS camera, the EOS 650: $8.95). They both seem to work well and the lens is …pristine. My newly purchased EOS 650 – the pictures of the items for sale on Shopgoodwill are getting better. And this camera works as well as it looks. Generally there is not much in terms of a bargain on shopgoodwill.com : as opposed to eBay where the sellers are independent entrepreneurs competing for your dollar, Shopgoodwill is a sole source marketplace. On eBay, sellers have to describe the piece of equipment they’re offering in detail and the buyers are protected by the feedback mechanism. On Shopgoodwill, item descriptions are minimalist, and the equipment for sale is almost always “untested, sold as-is”. I suspect that because purchases at Goodwill can be easily disguised as tax deductible charitable contributions, lots of buyers are not really sensitive to prices, and end up paying a lot for a poorly described and untested piece of equipment. As much as they would pay on eBay for an equivalent camera, but without the implied warranty of a seller or the support of eBay if things go south. Lastly, considering that cameras and lenses are sold “untested and as-is”, the risk of buying a lemon is pretty high – if a camera is known for a weak point (fragile shutter curtains, short lived capacitors, temperamental electronic shutter release, for instance), it’s safe to assume that the item for sale will be plagued with it. Even if it looks “pristine” cosmetically. Canon T90 with a Canon 50mm f/3.5 macro lens. I would not buy a camera from a series with a known weak point on Shopgoodwill – far too risky. I would buy it from a seller with a great reputation on eBay. In my opinion, there are only two ways to score a good deal at Shopgoodwill: buy for cheap something that absolutely nobody wants but that has value for you (a first generation AF cameras for instance if that’s your fancy), or buy a poorly documented bundle, whose perceived value is dragged down by a very disserving description. Imagine an item advertised as “Nikon N4004 + Sears lens” or “Olympus film camera with broken lens”. Nothing to grab the attention of the casual browser. But if you look carefully at the pictures, you notice that only the lens cap is from Sears, and that the lens looks like … a recent Nikon AF-S lens. Or that the Olympus camera sold with the broken lens is a rather rare (and sought after) OM-2000 in seemingly pristine condition. Nikon N90s (aka F90x) and Minolta 9xi – solid cameras with a solid reputation – both were Shopgoodwill purchases and happened to work perfectly. How is it possible? With a few exceptions, the people who write the item descriptions at Goodwill know nothing about photography, and don’t have time to check or research. More about my first Canon EOS cameras and how they compare to Nikon’s best in a few weeks. Seen in Marietta, GA – Canon EOS 650 – Canon EF 28-70 3.5-4.5 – Kodak Ektar – the camera is a pleasure to use and the lens is pretty good – not bad for $8.95. How cheap can it get? The very last high end film auto-focus SLRs of Canon, Minolta and Nikon – such as the EOS-3 and EOS-1 V, the Maxxum 7 and 9, and the F100 and F6 – are also in a a category of their own. As the “ultimate” film SLRs, very close technically from the current dSLRs of the same brand, they can be sold for anything between $200.00 and $2,000.00. The rest is trending towards being virtually free, and autofocus SLRs fare even worse than manual focus bodies: I recently paid $3.25 for a nice N6006, a Nikon SLR from the early auto-focus era and $15.00 for a beautiful Minolta 9xi with a good lens, its original catalog and user manual. We already passed the point where the shipping costs exceed the sale price of the camera, and where a set of batteries can be many times more expensive than the camera itself – the lithium battery of the N6006 cost me $12.00, almost 4 times the price of the camera. For the photographer starting to shoot with film, there has never been a better time to buy a good camera on the cheap. 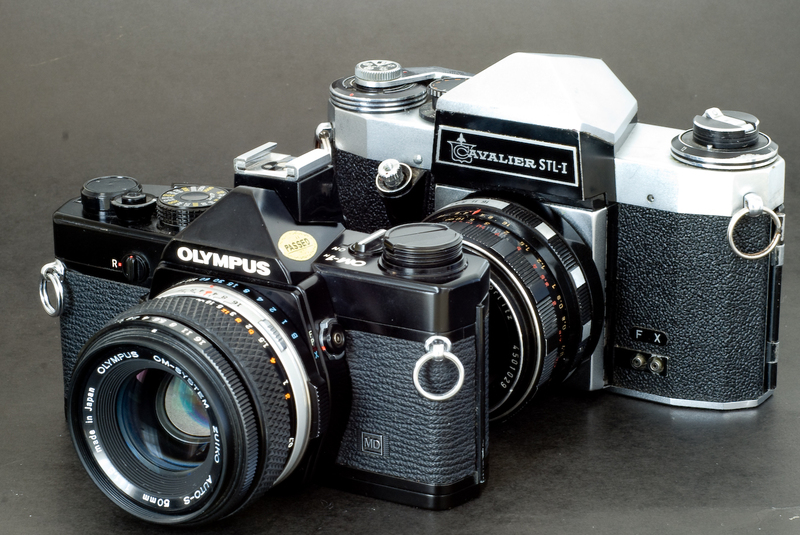 Collectors are more attracted by pro or high-end cameras which were expensive when new, and still are in top condition. The “last pro or last high-end film cameras manufactured by a given brand…” fare particularly well: a tested and working Pentax LX, a beautiful Olympus OM-4Ti or a Canon EOS-1 V are relatively rare and can sometimes reach prices between $400 and $1,000. Canon AV-1 – It was part of a $8.00 bundle which also included 3 other cameras. In all fairness the other cameras were all defective, but this one worked pretty well. SLRs originally positioned as mid level cameras for enthusiasts or experts provide the best opportunities, in particular if you’re willing to accept a few scratches or blemishes on the body: they tend to be much more usable than entry level cameras (they’re almost as feature rich as the high end models, if not as solid), but don’t catch the attention of the collectors because they’re too ordinary and too easy to find. Manual Focus cameras: strangely enough, manual-focus cameras from big brands tend to be more expensive than most of their auto-focus SLRs. You can find cheaper manual focus alternatives – the Olympus OM-2000 is one of my $5.00 cameras, but I’d be more prudent with brands like Fujica (and other brands which did not have strong following on the expert or enthusiast markets). Not that they did not make good cameras – but good lenses are going to be more difficult to find – and without a set of good lenses, a SLR camera is not really worth having. Fujica AZ-1 – the camera can be had for cheap, but apart for the ubiquitous 50mm lens and the zoom shown here, Fujinon EBC lenses (operating at full aperture) are rare and expensive. The “prosumer” cameras of the early to mid eighties – they can be yours for $15.00 to $25.00 now, with a (good) zoom included. Auto-focus cameras designed for amateurs (such as the Minolta 3xi or the Nikon N6006) are the cheapest of them all, but the price difference with the “expert”, “enthusiast” or “prosumer” model of the same brand is minimal (the price of their disposable Lithium battery, roughly). Don’t hesitate. Go for the top of the line. As usual, I only recommended cameras I’ve used and liked. I’m sure there are very good auto-focus cameras from Canon (EOS mount), and great manual focus cameras from Minolta (MD mount) or Pentax (K mount). They’re all supported by a great line of lenses and will also constitute very good buys. When you buy a camera for less than $5.00, you don’t always win. shopgoodwill.com is a very good source for cheap equipment, but you have to consider it’s sold as is, by people who – generally – have absolutely no clue of what they’re selling and can’t describe it in any useful way. To me, it has been a bit of a hit and miss – cameras from the 90s (the Olympus OM-2000, the Minolta 9xi, the Nikon N90s) were diamonds in the rough, and after a good cleaning, they worked perfectly. Older cameras (a Spotmatic, a Fujica AX-3) were broken and could not be fixed. The older the camera, the riskiest it gets. But most cameras are sold with a lens, and even if the camera is defective, the value of its lens alone sometimes makes buying the set a good deal. eBay – thanks to the system of feedback, sellers tend to describe their items with some level of accuracy. In my experience, if you stick with sellers with an almost perfect feedback score (99% or better), and read the item description extremely carefully, you won’t be disappointed. Dogs playing. Nikon N90s – Fujicolor 400 – The Nikon N90s nailed the exposure and the focus perfectly. eBay has been here for 15 years now. Buyers and sellers had ample time to learn all the tricks of the trade, and if reasonably careful, they face little risk of a really bad surprise. A significant percentage of the sellers on eBay are professionals, or experts in their field. Others have been using a product for years and can write about its history. Most know the value of the products they’re selling, and how to attract the attention of their audience. They take good pictures of the items they want to sell, and because they want to preserve their hard earned feed-back, they won’t provide blatantly misleading product descriptions. But if the risk is somehow limited, the odds of scoring big are also getting pretty slim. With more than 200 million registered users, 2 million new auctions a day, and all sorts of search and reporting options, eBay is as transparent as a market can get. If the seller did his home work and followed the rules of the game when posting his listing, more than one buyer will notice, a small bidding war will take place, and the final price of the item will be very similar to the average of what similar items sold for during the weeks preceding the auction. Shopgoodwill.com – the online auction site of Goodwill Industries – is a much smaller marketplace. Founded in 1999, it “provides a safe and secure venue for Goodwill® member organizations to sell donated items through an online auction“. 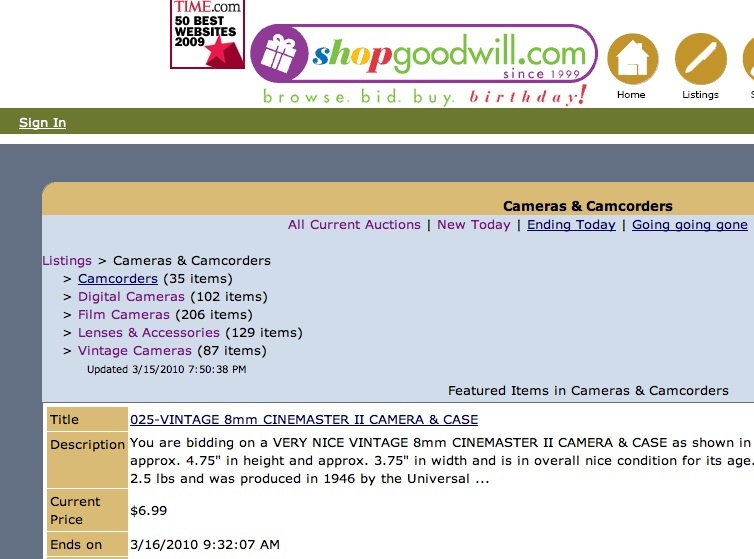 On Shopgoodwill, the cameras and lenses presented for auction have been donated, and the people describing the products know very little about their past. 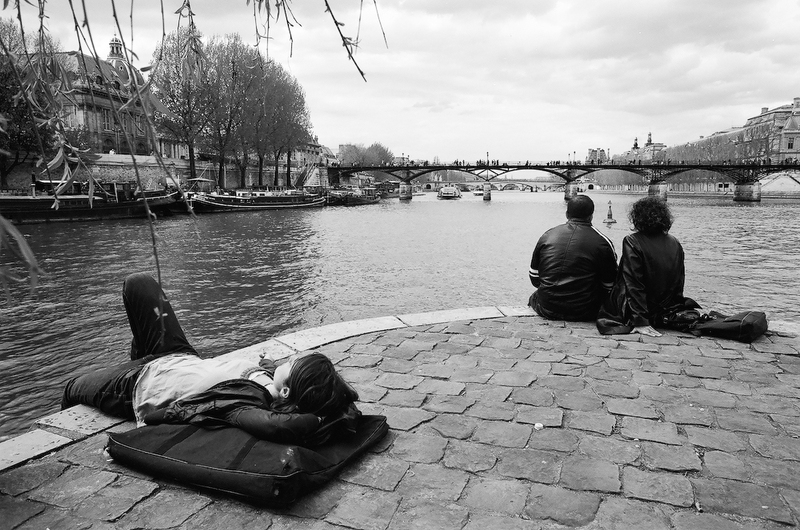 Most of them are not specialists of photographic equipment, either. They do not want to raise false expectations, and will stay extremely conservative in their assessments. In the best case, they will write that the product “appears to be in a good condition” or that it “appears to be working”, but all items are sold as is. The item descriptions are sometimes very generic (“Nikon Camera”) or written by someone who can’t tell the difference between a filter and camera (“Hoya 49mm camera made in Japan”). The quality of the pictures of the items improved significantly lately, but they are still low res, and it’s often difficult to find out what’s really being sold. While not as large as eBay, the number of potential buyers is far from small, and the odds are that a rare and valuable item will be discovered by more than one buyer. I’ve seen a few Leica cameras for sale on Shopgoodwill, and they all fetched good prices. But I’ve also seen nice vintage cameras stay unnoticed. So where is the fun? Shopgoodwill is like a garage sale or a flee market. Tonight 27,000 film cameras were listed on eBay. Less than 300 were listed on Shopgoodwill. You have relatively few items to look at, and you can go rapidly through the list of cameras or lenses being auctioned. The product descriptions are not always very good, but lovers of old equipment will raise to the challenge and put their geekiness to good use, with the hope of discovering a true gem. Buying a camera or a lens at Shopgoodwill is a bit of a gamble. The intentions of the sellers are undoubtedly good, but their expertise is somehow limited, and the buyer will know little about the true condition of the item he’s bidding for. I never had the guts to buy a really expensive camera or lens on Shopgoodwill, and I never spent more than $30 on an item. The camera I bought (a Praktica camera sold under the “Cavalier” name in the US) was cosmetically nice, and ended up working after some TLC, in spite of its old age. I also bought a lens, on a separate occasion. Although a bit dirty, it was in good general condition, and proved to be a very nice item once cleaned. A good experience overall. Try your luck too; it’s for a good cause. Olympus OM-1 / Praktica LTL - The Praktica (sold as a Cavalier in the US) was bought on Shopgoodwill.com.